The Asus ZenFone 4 Max Pro ships with a Snapdragon 425 MSM8917 Qualcomm Quad-core processor which is clocked at 1.4GHz and clubbed with 3GB RAM. The graphics processing unit(GPU) is an Adreno 308 and can handle almost all modern games easily. The handset runs on Android 7.0 (Nougat) OS out of the box. A front-mounted fingerprint scanner gives the handset a rich feel. The Asus ZenFone 4 Max Pro is equipped with dual primary cameras of 16MP + 5MP and a 16MP front-facing snapper. Both the cameras come with LED flashes to perform well in low lighting circumstances. The primary cameras can snap pictures of up to 4,616 x 3,464 pixels quality and include features such as auto flash, digital zoom, face detection and touch to focus etc. It has a full metal body which gives it a rugged look. It boasts a 5.5 inches display and resolution is 1080x1920 pixels. The display uses IPS LCD technology. The pixel density is 401ppi. 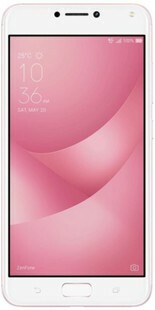 Options like multi-touch and gestures are available on this phone. A fingerprint sensor is seated on the front side of the android phone. This latest Asus ZenFone handset performs well in two areas – battery and camera. The dual main cameras capture super quality images, on the other hand, the secondary camera makes it an ideal option for selfie crazy folks. Given a 5,000 mAh battery, you can comfortably keep using it for long hours despite heavy usage. Watch videos, movies, and game on a Full HD display –the battery drainage will never bother you. This handset appears to be an awesome android phone at this price point. No doubt, this gadget provides you with a great value for money courtesy its features and performance. Asus ZenFone 4 Max Pro full specs and reviews as of Apr 2019. Buy it here!